"BROOKS, JAMES S., ABLE SEAMAN"
James Brooks is buried in Tripoli War Cemetery. His body was found floating in Misurata harbour on about 28th December 1941 - some 90 miles East of where they abandoned ship. 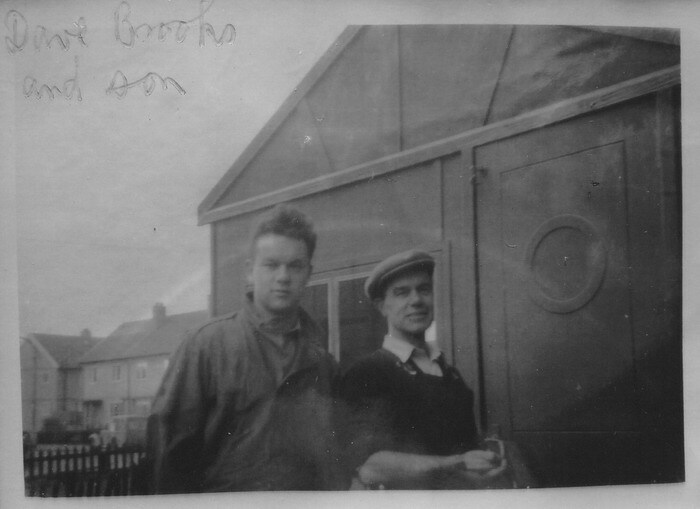 This is a photo of his brother Dave Brooks with his nephew David Brooks which is closest we can get to a photo of James.The features of both are quite distinctive with square jaw and high forehead. Husband of Elizabeth McGhee Brooks, of Glasgow. James Brooks' body was found floating near Misurata harbour on about 28th December 1941 - some 90 miles East of where they abandoned ship. He was probably on another carley raft with several of his seaman colleagues and died before reaching shore.